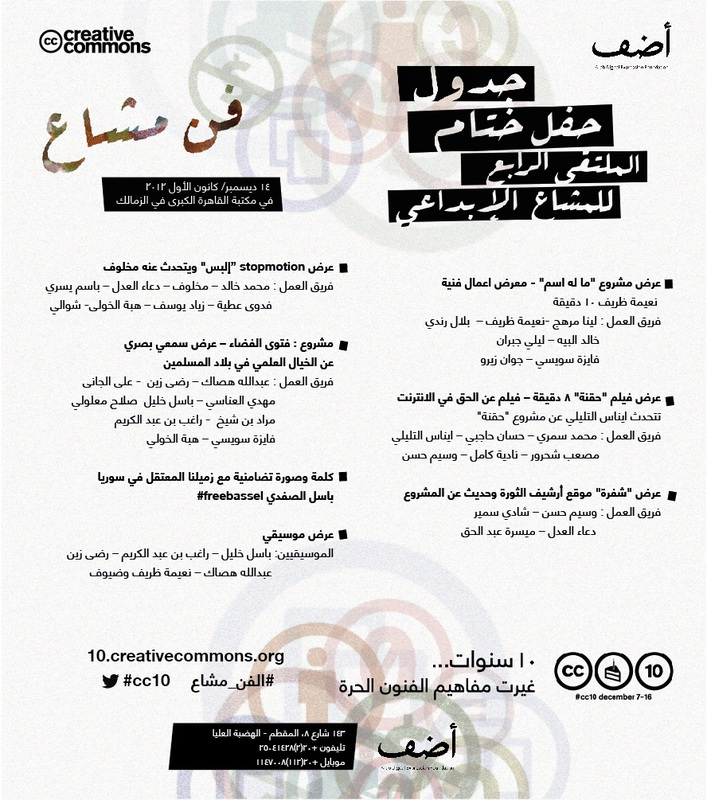 In time with the Creative Commons 10-year anniversary, the Arab Digital Expression Foundation (أضف) organized the 4th Creative Commons Arab Forum. 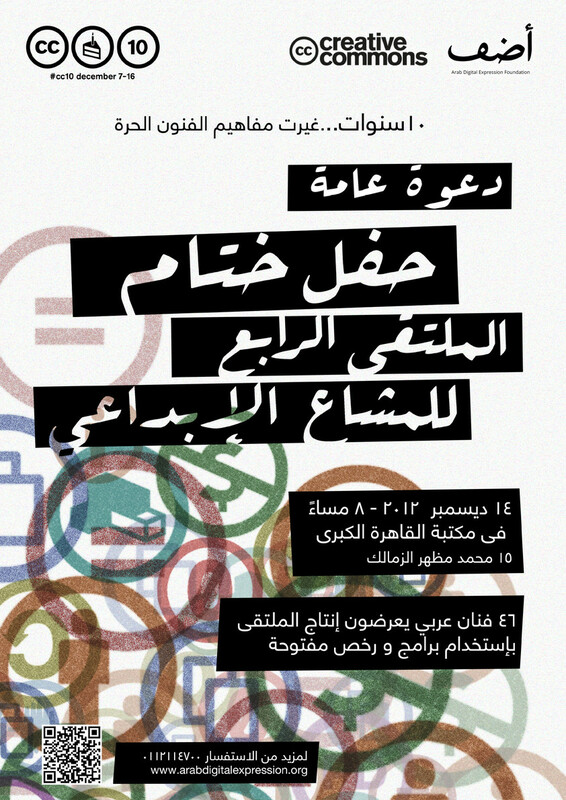 In time with the Creative Commons 10-year anniversary, the Arab Digital Expression Foundation (أضف) organized the 4th Creative Commons Arab Forum. The event was a-four-day open space workshop collection, in which more than 40 Arab creatives and creative common enthusiasts participated. The collaborative productions created by the participants were presented in an open invitiation closing concert in the heart of Cairo. 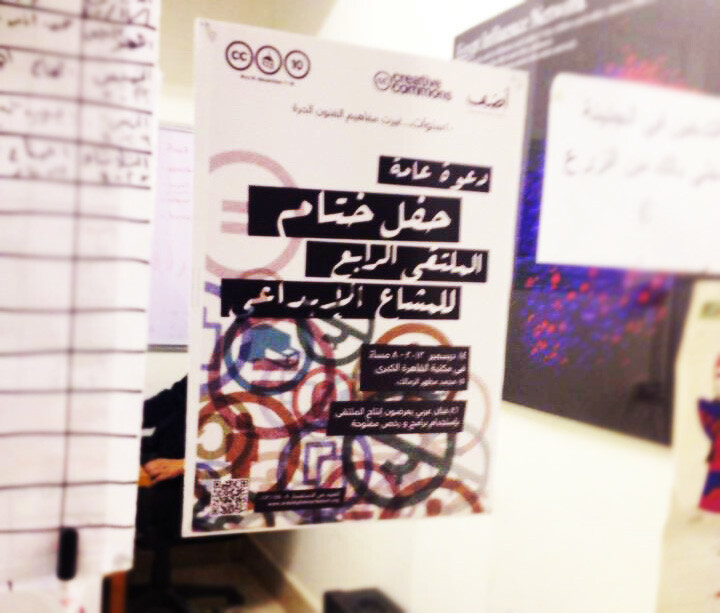 The posters announcing and marketing for the event, were created using the different icons for the creative commons' licences, layered and overlapping, representing the layers and depths added to any creation or work when shared with others to develop and get inspired from. 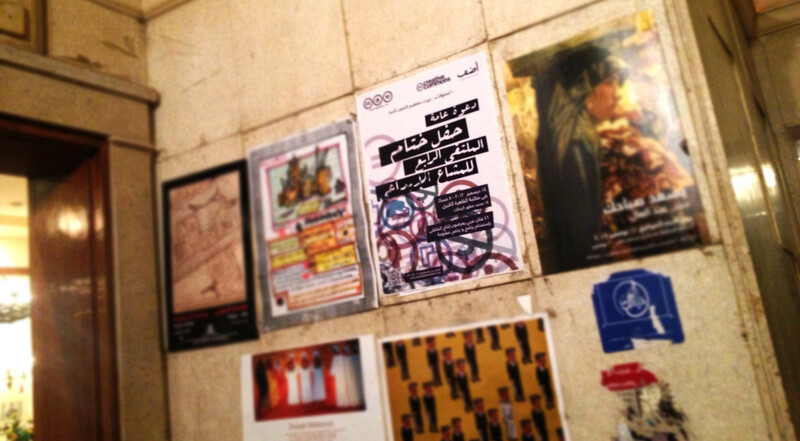 Poster displayed on the announcement board of a shop in Zamalek - Cairo. Banner on the site of the closing concert. The program of the concert created for online announcements. The program of the closing concert was printed black & white on colored paper instead.